To hear the panicked left tell it in their best Alinskyite echoes, the Tea Party Movement (TPM) is just the latest lemming-rush of evil crazed Republican right-wingers, driven into a frenzied angst by the ascendancy of the One True Faith in Washington. Certainly the GOP would love to rope the TPM in and harness them to the party wheel, but the leftist view just ain't so. With very few exceptions, the TPM people are keeping a notable distance from the GOP establishment. Nor is there any true central organization of the TPM to be co-opted, despite some concerted efforts on the part of the GOP to create and insert one for roping/branding purposes. The TPM remains a decentralized conglomeration of independent organizations. These weren't the tea-party platforms I heard discussed in Nashville last weekend. They were the campaign promises of Barack Obama in 2008. Indeed. Being naturaly curious, I have over the last year attended a few TPM events. What I found did not fit neatly into stereotypes. The attendees ranged from disillusioned Democrats who felt they got "took" in 2008 to dedicated Libertarians, with the usual presence of fringe nutburgers always found in large gatherings. Birthers and Truthers were both to be found, but not in quantity, and they were oft-scoffed at and avoided by most of the crowd. 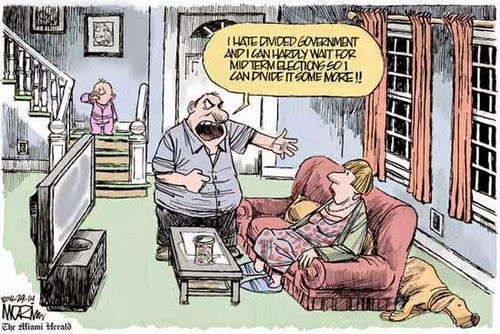 So what do the Tea Partiers really want? That was my focus. What I found can be summed up in a single word. Less. Less borrowing. Less spending. Less taxes. Less regulation. Less corruption. 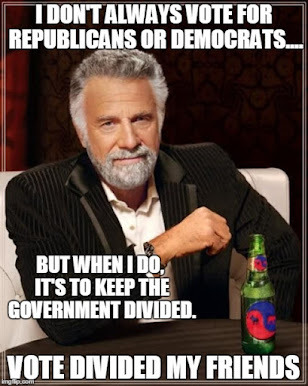 Less extreme partisanship. Less "social engineering" -- from EITHER side of the aisle. Less power-grabbing for special interests. And, most especially, less government intrusion into every single aspect of our lives. It seems that despite the generational de-emphasis of civics in American education, once you leave the extremes of the American polity, those in between still grasp the basics of the American system as expressed in the Constitution. And they want it back from the Frankensteinian behemoth that it has become. They want less.